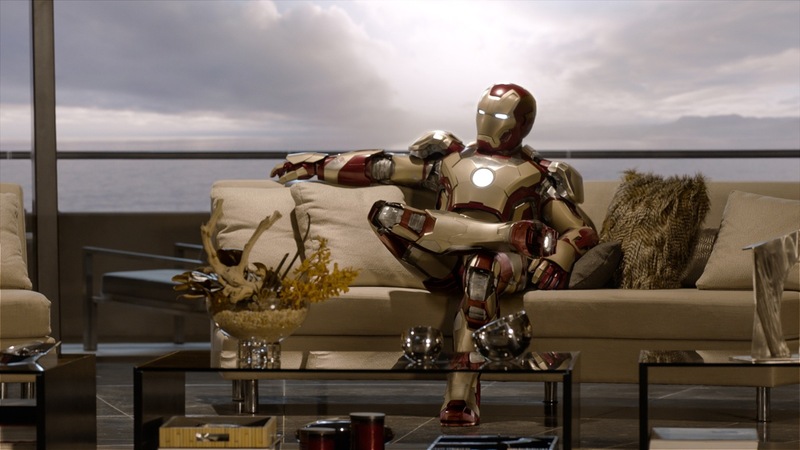 Looking backward, there are more reasons than not to expect disappointment from Iron Man 3. For one, history shows that the third entry tends to be the worst in many franchises, a la Return of the Jedi, The Godfather III, Infernal Affairs III, The Dark Knight Rises; for another, Shane Black’s contribution to the story of Marvel’s most popular screen hero has a tough act to follow in 2012’s superhero rumpus, The Avengers. Add in the fact that the last standalone effort to feature Tony Stark stands out as one of the most shockingly bad notes in Phase One of the studio’s grand plan to conquer the comic book cinemascape, and Iron Man 3 had measurable odds stacked against it. Sometimes, it’s good to be wrong. 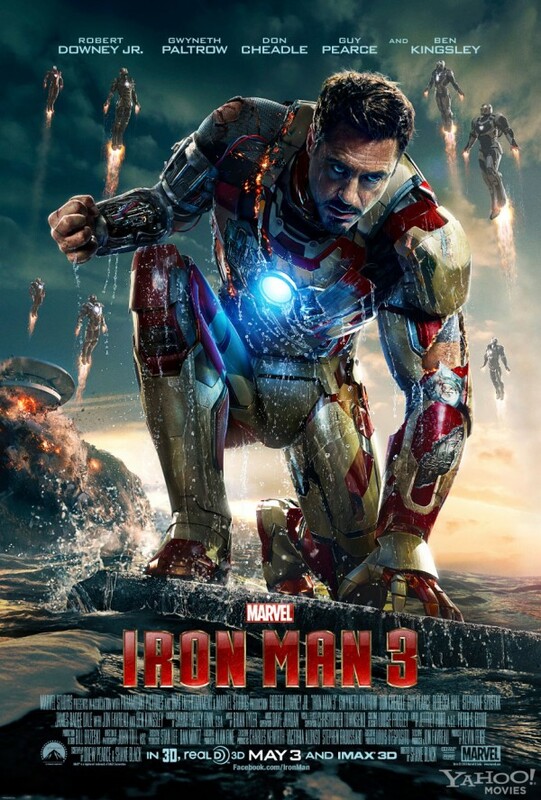 If The Avengers proved an efficacious start to last year’s summer movie season, Iron Man 3 kicks off 2013’s blockbuster smorgasbord with similar whiz-bang energy. We’re missing the Whedon touch, of course, but that’s hardly a problem; Black, primarily known as the screenwriter for the first two Lethal Weapon films as well as The Last Boy Scout and 2005’s excellent Kiss Kiss Bang Bang (the only other film Black has directed to date), has his own way with words and happens to be old hat at engaging, character-based action films. Here, he’s shackled to someone else’s characters, but that’s okay- Tony Stark’s wisecracking roguishness falls well within Black’s wheelhouse as a writer and a director, and besides that, the series Jon Favreau built back in 2008 has plenty of room for quips and crackling dialogue. Black’s a natural fit for Iron Man. This time around, Stark, having barely survived the events of New York (wormhole references are among his many triggers), is a hot, messy shadow of his normal self. He compensates for his ennui as we’d expect him to, but The Avengers reminded him that he’s just a man (in a can), and he’s having a hard time reconciling the existence of gods, aliens, and rage beasts and balancing his relationship with Pepper Potts (Gwyneth Paltrow, at her best and with more to do here than ever in a movie that takes her to unexpected but totally welcome places). Concurrently, the United States has fallen under attack from an enigmatic and nationally ambiguous terrorist named the Mandarin (Ben Kingsley); speaking in the sonorous tones of a Southern Baptist preacher, bedecked in Chinese iconography, and styled like bin Laden, he’s struck a degree of fear into the country’s heart, though the government has kept the bulk of his crimes concealed from the public- so they’re the ones worrying most. How do Stark and the Mandarin cross paths? Before any of Iron Man 3‘s much-discussed turns are made, the link between both men appears to be Aldrich Killian (Guy Pearce), a scientist Stark rejects and derides in the film’s opening flashback scene. Killian’s a mirror held up to Stark from the moment he’s reintroduced into the plot: cocky, handsome, astronomically wealthy, and endlessly brilliant. He’s also up to nothing good, but the secret of how his misdeeds intersect with those of the Mandarin is best left discovered by the audience. Suffice to say that between both villains, Stark has his hands full with not enough gas in the tank to get the job done. If Iron Man 3 improves on its predecessor in just one way, it’s the heavies. Iron Man 2 suffered from a pair of antagonists who were such poor matches for both sides of Stark- the billionaire industrialist and the genius inventor- that not a moment went by where they presented the slightest threat to him, and so the film’s stakes were non-existent. It didn’t help that Mickey Rourke and Sam Rockwell were both lost at sea of bloated disinterest; a good performance from either of them could have alleviated the shortcomings of the script. The Mandarin and Killian, on the other hand, are given meaty, amazing, and wholly memorable portrayals by Kingsley, who thoroughly steals the movie with his personal interpretation of a character grounded in broad cultural stereotypes, and Pearce, matching Downey’s wryness with devious cool. On top of that, they both mean business; nobody sees either of them coming. Within the first act, Killian has already threatened Stark’s supremacy in the world of technological advancement while the Mandarin has sunk his house into the ocean. There’s no doubting how dangerous these men are, and there’s a very real question as to how Stark, battered and stricken with PTSD, can rival either of them. The answer is simple: get introspective. Iron Man 3 does very well what Christopher Nolan’s aforementioned Batman capstone didn’t- drill down to the roots of the character and strip him down to his core. What does Stark have without gamma rays, magical hammers, and super soldier serums? What really makes him Iron Man? Half the fun of the film is seeing Tony react to pressure once he’s robbed of his signature high-tech gadgetry, relying on his wits and resourcefulness to overcome foes and scrape by danger. Partly, that’s because the moments are pure Black and Downey, for whom the Stark role feels less like acting and more like just being; at the same time it’s refreshing to see superhero tropes and expectations kicked to the curb as Stark raids the Mandarin’s hideout armed with weapons he made using parts purchased from Home Depot. Put simply, Iron Man 3 is smarter than the average tentpole film, even if it’s not readily apparent amidst the crescendo of robot-on-superhuman violence that occurs in the film’s last act. It’s also funnier, more charming, and filled with far more heart. At this point nobody should doubt Marvel’s supremacy in the realm of comic book filmmaking, but that they’re managed to go this far without skidding off the tracks is impressive nonetheless. Would you be open to contacting me about writing reviews for our site expansion? Let me know thx, I like your writing, your opinion comes across but you show research as well. Nice. My email is canewspodcast at g mail.